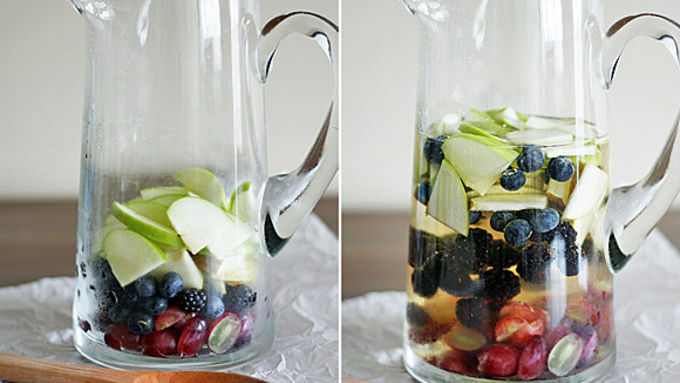 Place grapes, berries and pear and apple slices in the bottom of a large, chilled pitcher. 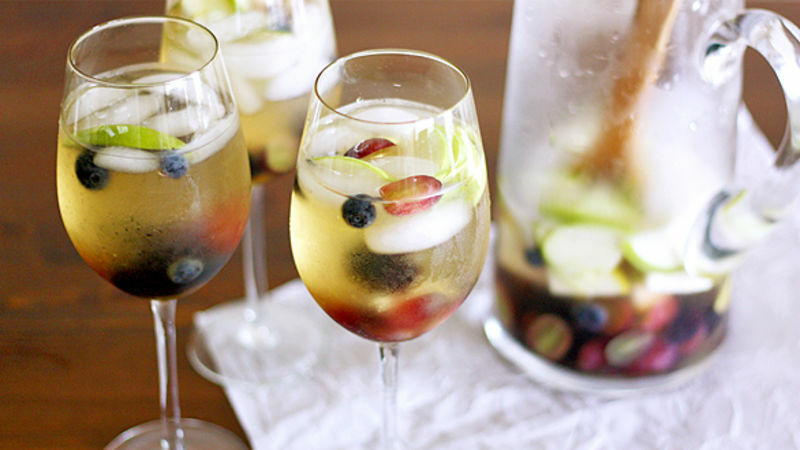 Pour in white wine and elderflower liqueur and stir. Refrigerate mixture for at least 30 minutes. Top with ice and fill pitcher to the top with club soda (up to 1 liter). Summer is around the corner and all I can think about is sipping on sangrias. Seriously – sweet, sassy, sippy sangrias are what summers are made of. 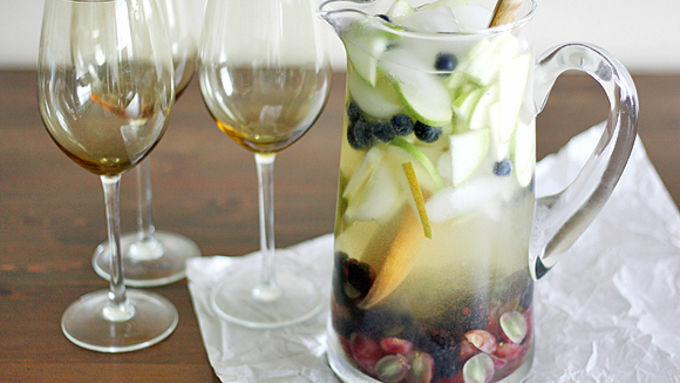 And I’m super psyched for this one, because I’ve got this swell White Wine-Elderflower Sangria recipe to use all season long. Yesssss. I know you’re excited for summer too, so I thought I’d share the recipe because, ya know, no one wants to drink alone – at least not when sangria is involved. So pull up a chair, slather on some sunscreen and let’s make sangrias together! The club soda is also fairly necessary, and so is the fruit, but you can substitute lemon-lime soda or sparkling water for the club soda if you want. 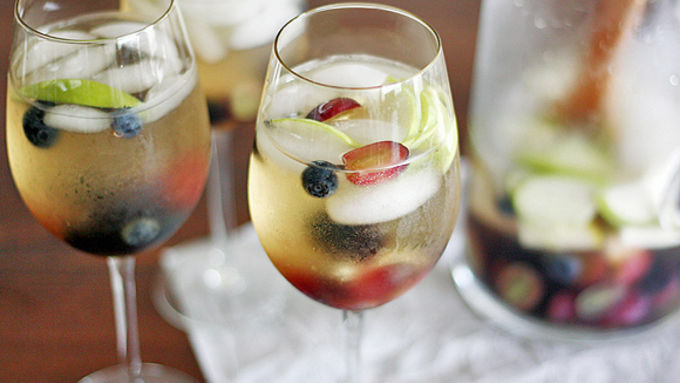 And, you can use pretty much whatever fruits float your boat – blackberries, blueberries, grapes and pear and green apple slices are my fruits of choice for both their flavors and colors. Mmmm, fruity, elderflowery, cocktaily bliss. Cheers, friends! What’s your favorite way to celebrate summer?